It looks like I have fully embraced my inner yogini. Finally having gotten my Teacher’s Training diploma, I find myself happily immersed in one yoga workshop after the other. First in June, a rather intense four days of back-to-back seminars (both physically intensive or philosophy rich) of yoga at the Asia Yoga Conference in Hong Kong. Coming back to Manila I discovered I had gotten way stronger, and way braver in doing my asanas (poses). I could get into an inversion with less nerves, it was just a matter of learning how to keep upside down for longer than a couple of seconds. That is now my current challenge, finding my center even when my perspective has been flipped around. Enter August with the coming of the almost ethereal beauty and grace of Alexandria (Alex) Crow. Although coming from a gymnast background, Crow battled with injuries that kept her inactive for some time. Her workshop in August will focus on “floating”. 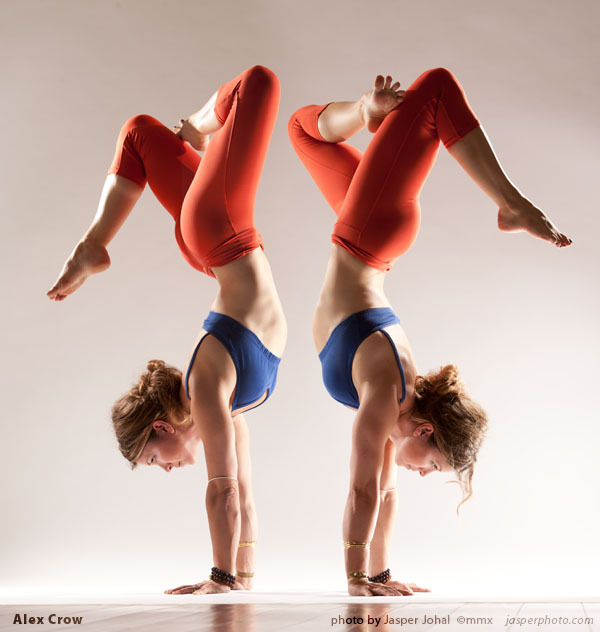 Working the upper body, opening the hips and strengthening one’s core (and probably reserve) to get up, and up into arm balances and inversions.